Run by Lesley Goodburn, this event explores Seth and Lesley's journey through terminal pancreatic cancer until Seth’s death just 33 days after his diagnosis. Seth and Lesley Goodburn were faced with a diagnosis of late stage pancreatic cancer in May 2014 and they began a journey into palliative and end of life care which ended just 33 short and heart breaking days later. 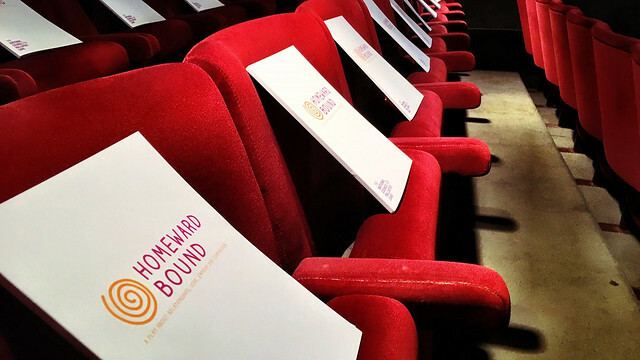 Lesley shares her reflections and insights on their journey after a viewing of the film Homeward Bound. She talks about compassionate care, person and family centered care, how the person who is dying needs to be part of the decision making process, and what is important for people as they approach the end of their life. Tickets are free, with a suggested donation of £10 on the night to cover costs. Any surplus will go to Dorothy House Hospice Care. This event is presented by the Centre for Death & Society, University of Bath, and Dorothy House Hospice Care as part of Dying Matters Awareness Week 2018.